Just arrived! Zgemma 4K UHD i55 Plus Client IP Box / IPTV Receiver only £64.95! 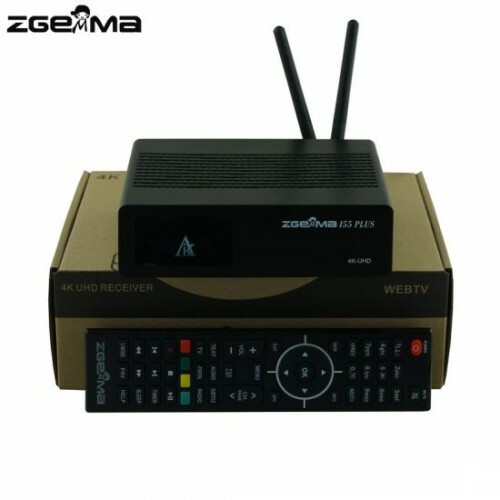 Zgemma i55 Plus Client IP Box / IPTV Receiver only £64.95! BEST PRICE IN THE UK! FREE UK AND NORTHERN IRELAND SHIPPING! LOW COST EURO-WIDE SHIPPING AVAILABLE! TWO YEAR HARDWARE WARRANTY IF PURCHASED FROM WORLD-OF-SATELLITE! Excellent spec Enigma 2 Client IP box / IPTV receiver! Massive Enigma 2 support from OpenViX, OpenATV, OpenPLi, PurE2 & more! Quad core Hisilicon 1.5Ghz CPU! 1GB Ram & 256MB Nand Flash! Support Kodi and QT Stalker IPTV Plugins! LOW COST EUROPEAN SHIPPING RATES TO REPUBLIC OF IRELAND, BELGIUM, DENMARK, FRANCE, GERMANY, HUNGARY, ITALY, LUXEMBOURG, NETHERLANDS, POLAND, SPAIN AND MORE! Apologies, missed this, please open a pre-sales support ticket and we'll get you a shipping quotation.